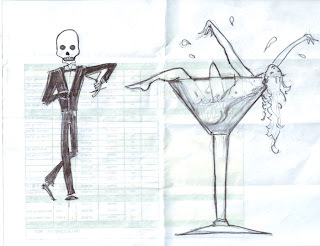 I drew this picture of a skeleton holding an empty martini glass while watching a burlesque act involving a martini glass. 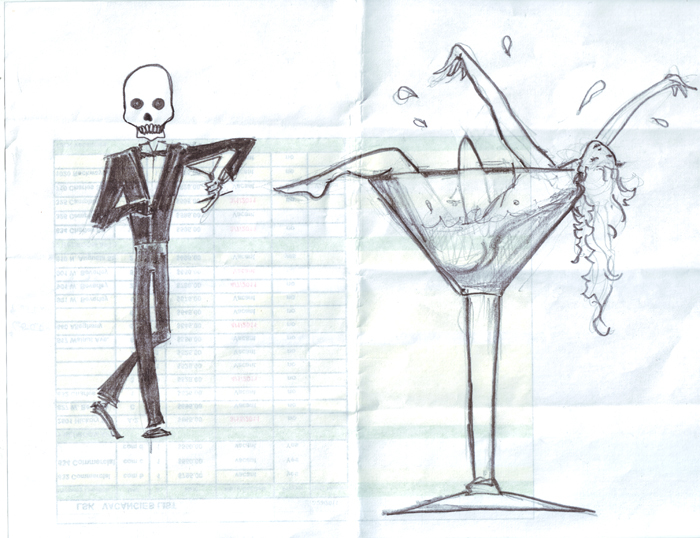 Sometimes my doodles make me happy... or sometimes I'm happy with my doodles. UP FRONT I WANT TO BUY IT! HOW MUCH?